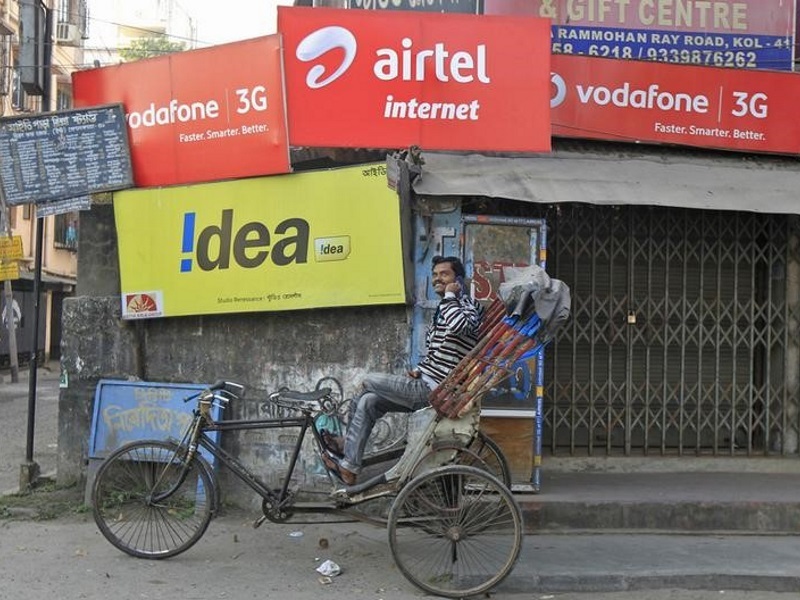 India’s crowded telecoms sector is preparing for a long-awaited shake-up as highly indebted players jostle for access to costly airwaves and brace for the launch of a deep-pocketed new rival backed by India’s richest man, Mukesh Ambani. Ambani owns oil-to-retail conglomerate Reliance Industries, which is expected to begin offering fast data services across India by early 2016. With about 980 million wireless users, India’s mobile market trails only that of China. But despite impressive growth rates, many firms are struggling with balance sheets stretched by costly spectrum auctions and rock bottom tariffs, making the telecoms sector in India prime for mergers and consolidations. In the first such move in seven years, Reliance Communications (RCom), owned by Ambani’s younger brother and rival Anil, has agreed to buy Russian group Sistema’s Indian mobile phone business. “One thing is clear: India has too many players and too much regulation in this space. Not everybody can make a profitable business out of it on a sustainable basis,” said a telecoms and technology M&A banker with a leading US bank. The arrival of Reliance Industries into the sector, under the brand name Jio, will further squeeze players such as RCom and Bharti Airtel. Bankers expect smaller players to be pushed into the arms of larger rivals, bulking up to battle Reliance’s Jio. Currently most carriers operate on wafer-thin margins, with 8 of the dozen carriers, including Aircel a unit of Malaysia’s Maxis Communications Bhd and Tata Teleservices, holding a market share of less than 10 percent, according to sector regulator Trai. Players including Aircel, which owns coveted 3G and 4G spectrum, could be a likely buyout target, analysts and bankers said, in a market overshadowed by large players including Bharti Airtel and the Indian unit of Vodafone. Aircel did not immediately respond to an email seeking comment. Tata Teleservices, the seventh-biggest mobile operator, is, according to sources, looking for a buyer for the stake Japan’s NTT DoCoMo owns in the joint venture. DoCoMo decided to pull out last year, as the JV did not meet performance targets. RCom’s Monday deal gave it access to more high-speed fourth-generation spectrum that Sistema owned, critical at a time when there is a huge demand for quality and fast data connection as more Indians access the Internet through their smartphones. Others will follow suit, bankers and analysts said. “The industry world over has three to five major players. India has to follow that,” said Hemant Joshi, a partner at consultancy Deloitte in India.